To create a simple LAN connection between two PCs/Laptops, the only hardware requisite is an Ethernet Crossover Cable. Ethernet Crossover Cables are easily available in the market. You can buy one online starting from $1 or you can go for a branded one from Belkin (available at buy.com) for $3. 1. Connect the one end of the cable to your PC/laptop and then the other end to the other PC/laptop and make sure the clips are locked into the Ethernet Port. 2. If it’s correctly connected, you should be noticing a computer icon near the clock in the taskbar on both the PCs. Right-click and choose Network Connections. Or Control Panel -> Network Connections. 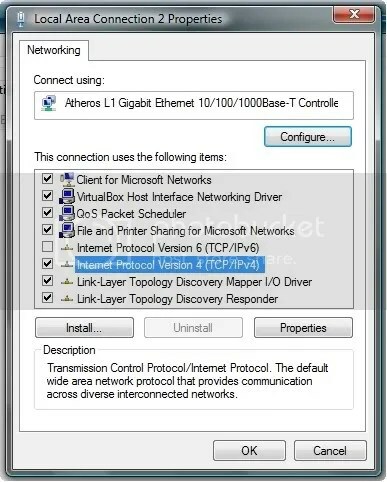 Windows Vista & Windows 7 users, open Network & Sharing Center from Control Panel and click Manage Network connections. If both the PCs use the same Workgroup name “WORKGROUP” (by default), you may leave step 8 and 9. 8. 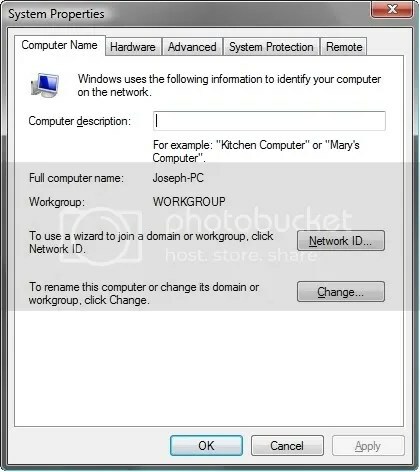 Finally you’ll have set up a Workgroup name on both the PCs/Laptops. To do so, right-click My Computer, click Properties, select the Computer Name tab and click Change and enter a name. Remember, the name should be the *same* on both PCs. Vista users, My Computer -> Properties. Under Computer name, click Change Settings. Click Change button and enter a name. Remember, the name should be the *same* on both PCs. You can now share folder or play multiplayer games via LAN. To share a folder, right-click the folder you wish to share and click Properties. Select Sharing tab and enable Sharing for folder. Open Network to access the files that are shared by the other PC. To play multiplayer via LAN, all you need is a game that supports Multiplayer. Proceed with Multiplayer mode, host a game and the other PC should join the game. Comment below if you have queries. Hey this method really worked and I played Counter strike on two PCs. But I think using WLAN on two laptops is also good. Nice to hear. This should be an easy-to-setup and cost-effective method. Yes, in the case of Laptops, you can use WLAN as most Laptops have support for WLAN nowadays. I appreciate this very much, it really works with the way you broke the procedure down. Thanks for the time..
On other computer i dont have LAN connections at Network connections! The folder is empty! You should see an icon named ‘Local Area Connection’. If not, make sure your Ethernet Crossover cable/Ethernet slot is in a good condition. cable and slot are good! Make sure you have a “crossover” cable and not just a regular cat5 cable. But I have an internet connection whose IP I don’t know.Changing the IP as instructed above won’t bother my connection? In this case, you’ll have to switch the IPs everytime. so can browse the internet with the procedures u’ve just stated? If you’re asking about using internet over LAN, yes you can. Make sure you’ve checked the necessary check-boxes in the ‘Sharing’ tab in your LAN’s Properties. Good job my friend!!!!!!!! Now I can play Counter Strike with my brother!!!!!!!!!!!!! We have 2 computers, a laptop with Windows 7 and a PC with windows xp. Tried everything u described, but we can’t acess each other’s computers.. What can be wrong?? Please make sure you’re using an Ethernet Crossover cable. It doesn’t with regular Ethernet cable, if in case you’re using it. It is because the cable is not properly connected to either of the computers. I want to share one internet connection between two of my pcs.Is it possible by lan connection between them? Yes anis, its possible. Just make sure to enable Internet Sharing on the ‘Sharing’ tab on your Internet Connection’s properties.